Holiday.gr - Agios georgios argyradon, a trip to a myth! 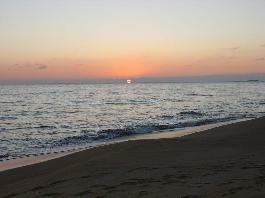 The beach of Agios Georgios Argyradon is a wide, sandy beach with gradually descending waters. It has been awarded the blue flag for its excellent water quality and is one of the most popular Corfu beaches. Agios Georgios Argyradon beach has chaise longues and umbrellas, a good selection of tavernas and cafes and plenty of rooms to let, apartments and hotels located nearby. Been to Agios georgios argyradon ? Share your experiences!